Casner Exterminating Inc. is a locally owned and operated business providing professional pest control and termite exterminating services to Monterey and Santa Cruz for over 30 years. We pride ourselves at being the finest when it comes to pest control customer service and eliminating problem pests, rodents, wild life and termites. 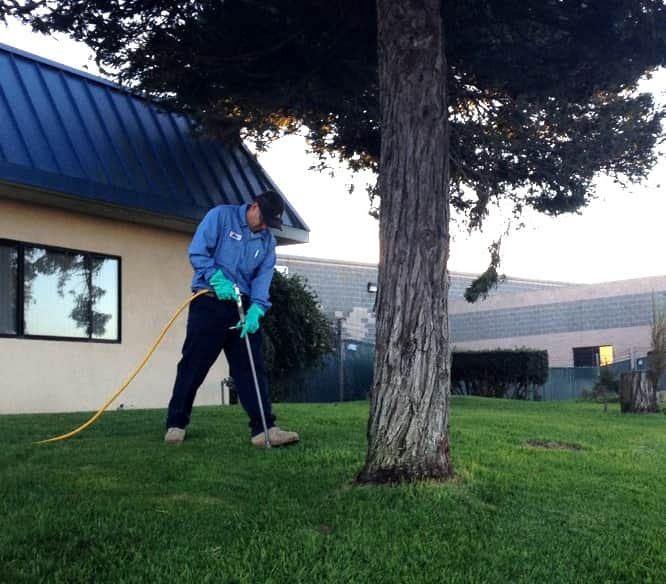 Casner Exterminating offers a variety of services to keep your trees healthy and beautiful, as well as protect the investment you’ve made in your Santa Clara County and Monterey County landscape. 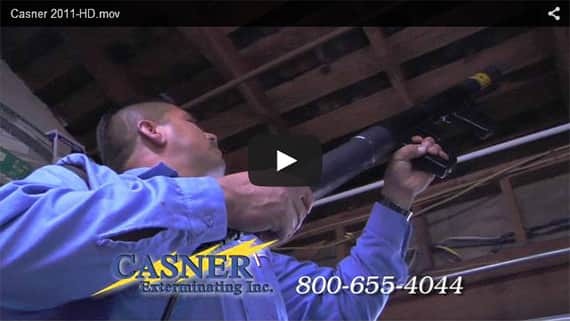 Casner Exterminating specializes in a safe and cost effective alternative to fumigation…the Electro-Gun. The Electro-Gun provides many advantages, such as owners or tenants, not having to vacate the structure during treatments, the Electro-Gun is a practical and economical way to control termite infestations thus saving property owners huge savings in repair bills. Our expert licensed inspectors will provide a written report detailing areas of infestations with helpful recommendations and reasonable cost estimates tailored specifically for each unique home or business. We at Casner pride ourselves in continuing education and keeping up with advanced technology to attack pests that may already be in your Monterey, Santa Cruz, San Benito and Santa Clara County home or business. Contact us today by filling out our Free In-Home Consultation Form and one of our experts will contact you back shortly. Let Casner Exterminating Help You Get Rid of Pests! A lot of work goes into properly maintaining a commercial or residential structure. One of the worst problems you may encounter is a pest infestation. Getting rid of pests will require you to hire an exterminator. For more than 30 years, Casner Exterminating has provided our community with the comprehensive pest control services they need. Our pest control company works hard to rid commercial and residential structures of pests in a timely manner. Are you a homeowner looking to hire reputable and experienced residential pest control services? Casner Exterminating will find and eliminate the pests in your home. Whether you need termite treatment or rodent control help, our team can help. Before deciding on what type of treatment to administer for your termite problems, we will perform an in-depth termite control inspection. The information we gather during this inspection will allow us to devise a plan to get rid of the termites once and for all. If you are in need of commercial pest control services, Casner Exterminating can help. With our environmentally safe exterminating methods, you can rest assured no harm will come to you or your employees during the pest control process. We are passionate about providing business owners with the termite and rodent control they need for a reasonable price. What are you waiting for? Contact us now to find out more about the pest control treatments we can provide.